It seems unreal that we are standing at the beginning of a fresh new year. It feels as if I blinked and the year was gone. In the past week I spent quite a bit thinking about new beginnings. I love new beginnings. I love the hope and anticipation which they bring. There is usually an air of expectancy over everything. Yet, sometimes, we bring the things from the past along with us into the new year. We hang onto old aches, bad habits, regrets and fears. Therefore I decided to share with you my 4 week program to restore, reset and renew myself for a great 2018. Everyday for four weeks I will share with you little habits or ideas to help you renew yourself and your thoughts in the seven key areas of your life. One small change or idea to implement for the day. The idea is that you only try it for that day. If, however, it is something which works for you, you may decide to make it a daily or weekly habit. For example, if you find that getting up 10 minutes earlier makes a difference to your life, you may want to do it for every weekday. 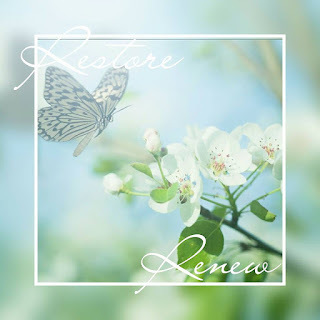 All I ask is that you tell me if you will be joining me for this four week Restore/Renew program and then let me know, occasionally, how you like it. I will also be opening a page on my FB about this four week program. You are welcome to join me.